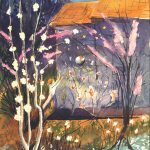 Mildred Nungester Wolfe was an artist who painted landscapes and townscapes in oil and watercolor as well as portraits of children in oil and pastel. In addition, she pursued printmaking, ceramics, and sculpture and received commissions for stained glass windows, mosaics, murals, and illustrations. Born on 23 August 1912 in Celina, Ohio, Mildred Nungester moved with her family in 1916 to Alabama, where she was educated. In 1919 she took a correspondence course in art from Columbia University, and in 1928 she began art studies at Athens College. She earned a bachelor’s degree at Alabama College, State College for Women in Montevallo, and soon began a career teaching public school, a profession her family considered appropriate. However, she continued to receive art training during the summer, including at the Art Institute of Chicago in 1934. She began exhibiting works in national shows and studying with important American artists such as Will Barnet and George Bridgman. 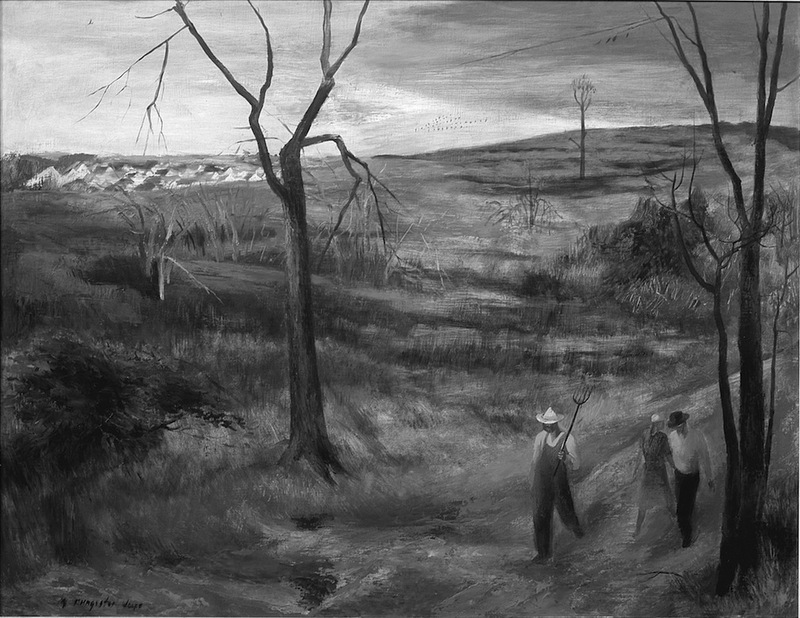 In 1937 Nungester met Karl Wolfe at the Dixie Art Colony near Montgomery, Alabama. However, their relationship did not blossom until 1943, when they reconnected at the Colorado Springs Fine Arts Center, where she was working on a master’s degree. She graduated in 1944 and moved to Denver and married Wolfe, who was living there while in the army. In 1946 they moved to Jackson, where Karl Wolfe had worked prior to World War II. The Wolfes eventually established the Wolfe Studio on what were the rural outskirts of Jackson. Karl established himself as a portrait painter, while Mildred produced more varied and independent work while raising their two children. Early in their marriage Mildred and Karl worked out a relationship that protected Mildred’s artistic integrity and independence, although they greatly respected each other as artists with individual talents and strengths. During the time Karl taught at Millsaps College in Jackson, Mildred developed an art history course there and taught it for some ten years. Their first studio and most of the artworks it contained were destroyed in a fire in the early 1960s. A new studio with a showroom and work areas was built in 1964 and remains an important outlet for the works of the Wolfe family. Karl Wolfe died in 1984. The National Portrait Gallery in Washington, D.C., holds Mildred Wolfe’s oil portrait of Eudora Welty. 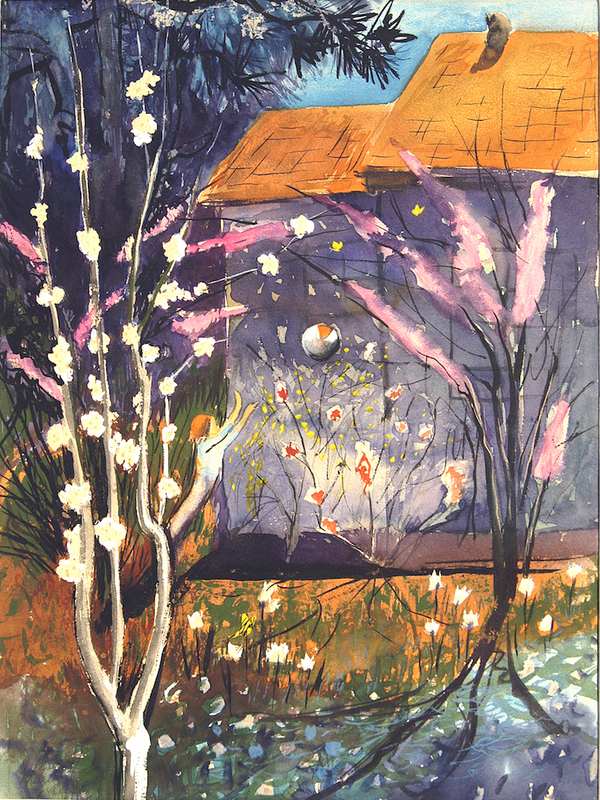 In 1994 the Mississippi Museum of Art in Jackson presented a retrospective exhibition of Wolfe’s work, and in 2000 the National Museum of Women in the Arts named her Distinguished Mississippi Woman Artist. 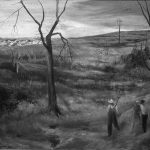 Most of Mildred Wolfe’s works are American scene painting and regionalism. Her portraiture harkens back to Renoir in its softness and suave color. Wolfe’s most innovative works are those in mosaic and printmaking. Her mosaics include ideas drawn from Art Deco and the semiabstract styles of artists such as Gustav Klimt. In lithography, Wolfe used the inherent qualities of the medium and her excellent draftsmanship to create works that convey both the social and human concerns and keen observation that characterize lithographs by artists such as Thomas Hart Benton and Grant Wood. Wolfe’s body of work in relief printmaking shows evidence of influence by the modern American woodcut style established by Arthur Wesley Dow and others. Mildred Wolfe died of congestive heart failure on 11 February 2009, nearly twenty-five years after her husband. Ultimately, her greatest accomplishment was to work with energy, dedication, and high aesthetic and expressive goals in a remarkable variety of media and approaches. She obtained artistic recognition and personal fulfillment in a South where women artists often were not taken seriously and where the lack of public interest and support often made the art profession a difficult pursuit.